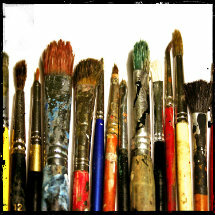 Draw and paint in the heart of Florence, in the Tuscan countryside, in a wildlife reserve and in front of the sea. This workshop has been conceived for those students who want to draw and/or paint outdoors the monuments of Florence, the enthralling charm of the Tuscan countryside (where Leonardo da Vinci was born), the natural beauty of a wildlife park and the magic of the seascape. The aim of the course is to help the student to create a sketchbook with unforgettable memories of the different landscapes and beautiful places. The course can be recommended both to Art novices and to experienced artists and professionals who intend to familiarize with the freehand drawing as well as with the perspective sketch. During en plein air sessions students will learn how to draw and paint architectural elements, landscapes, plants and trees (and wild animals if you are lucky). The following techniques can be chosen: pencil, water colour, oil painting and pastel. Practice can also concentrate on the use of colour and on the perspective method. The programme On Sunday afternoon arrival in Florence. Check-in in a shared room in a family. Single rooms also available at an extra cost of 120 Euro for 6 nights. Day one: Breakfast at the family’s house. Meeting at school at 9.45am. 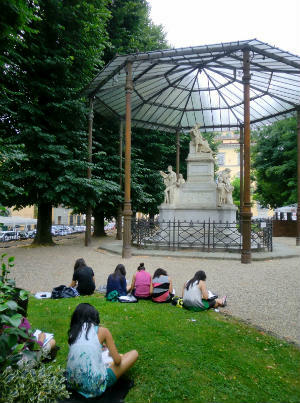 Art Class: the monuments and the gardens of Florence. Schedule: 10.00am – 1am and 1.30pm – 5pm (6 hours and a half of tuition). Lunch not included (there are many restaurants and cafés in Florence: you may choose the one you like best). Dinner with the family included. Day two: Breakfast at the family’s house. Meeting at school at 9.45am. Art Class: the squares and the streets of Florence. Schedule: 10am – 1am and 1.30pm – 5pm (6 hours and a half of tuition). Lunch not included. Dinner with the family included. Day three: Breakfast at the family’s house. 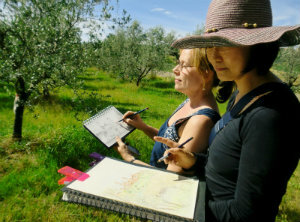 Art class: the Tuscan countryside: Vinci and its surroundings. Departure by mini van at 9.00am. Arrival in the countryside near Vinci. Schedule: 10.00am – 1.30am and 2pm – 6pm (7 hours and a half of tuition). Packed lunch included. Arrival in Santa Luce at around 7pm, check-in at the hostel. Dinner at the restaurant included. Day four: Breakfast at the hostel. 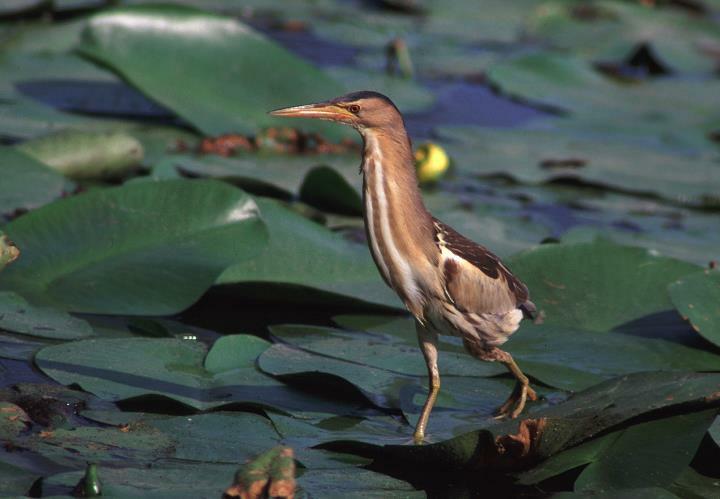 Art class: the wildlife reserve of Santa Luce, with its beautiful pond and birds. Schedule: 10.00am – 1.30am and 2pm – 6pm (7 hours and a half of tuition). Transportation to and from the natural reserve (by minivan), packed lunch and dinner at the restaurant included. Day five: Breakfast at the hostel. 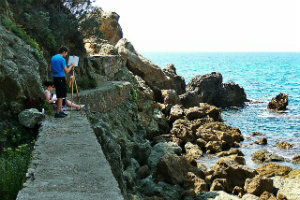 Art class: the seashore and the cliffs of Castiglioncello. Schedule: 9.30am – 1.30am (4 hours of tuition). Transportation to Castiglioncello (by minivan) and back to Florence (by direct train, 1 hour and 15 minutes) included. Lunch not included (there are many restaurants and cafés in Castiglioncello). Arrival in Florence at the family’s house in the afternoon, unless you prefer to spend your free afternoon at the beach. Dinner with the family included. On Saturday morning breakfast at the family’s house and check-out within 12.30pm. All classes will be held outdoors by Ms Patrizia Garberi, who will teach lessons both in English and in Italian. 5 Italian dinners and 2 packed lunches. If you have a special diet, please let us know. We will arrange meals that fit your needs. If you have any other special request please do not hesitate to inform us about it and we will do our best to meet with your demand.